In this paper, month-ahead electricity load and price forecasting is done to achieve accuracy. The data of electricity load is taken from the Smart Meter (SM) in London. Electricity load data of five months is taken from one block SM along with the weather data. 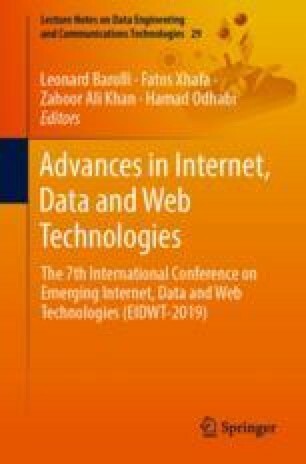 Data Analytics (DA) techniques are used in the paper for month-ahead electricity load and price prediction. In this paper, forecasting is done in multiple stages. At first stage, feature extraction and selection is performed to make data suitable for efficient forecasting and to reduce complexity of data. After that, regression techniques are used for prediction. Singular Value Decomposition (SVD) is used for feature extraction afterwards; feature selection is done in two-stages, by using Random Forest (RF) and Recursive Feature Elimination (RFE). For electricity load and price forecasting Logistic Regression (LR), Support Vector Regression (SVR) is used. Moreover forecasting is done by the proposed technique Enhanced Support Vector Regression (EnSVR), which is modified from SVR. Simulation results show that the proposed system gives more accuracy in load and price prediction.